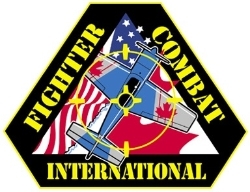 In Mesa Arizona there is a really cool company called Fighter Combat International where you can learn to dogfight! My dad and I stopped in to check them out. They fly the awesome Extra 300L and teach ACM (Air Combat Maneuvering). All of the instructors are ex-military pilots and I'm sure it's really fun to go up with them! Unfortunately, I can't until I'm 15 and weigh 100 lbs. All of the staff were very nice, especially my friend and "tour guide" Faye Hamilton, who is the manager. I got to meet the owner of F.C.I., Paul "BJ" Ransbury, who is a former Canadian F-18 instructor pilot with over 4000 hrs. of aerobatic time. Also, they run APS Emergency Maneuver Training which teaches people how to recover from spins and other emergencies. Believe it or not, the military sends their pilots there to train on how not to crash and die, and some airlines do it to! So while you're in Arizona, why not check out Fighter Combat International and APS Emergency Maneuver Training and go for a cool plane ride? If you're a pilot, what you learn could save your life!